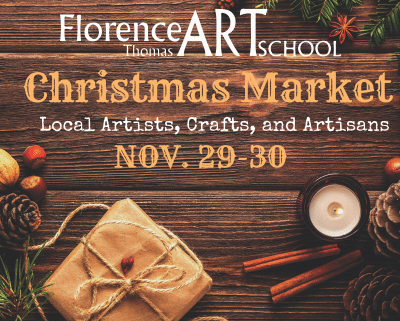 Stay warm and cozy while doing your holiday shopping at the Florence Thomas Art School’s Christmas Market, November 29 – 30th, 2019. 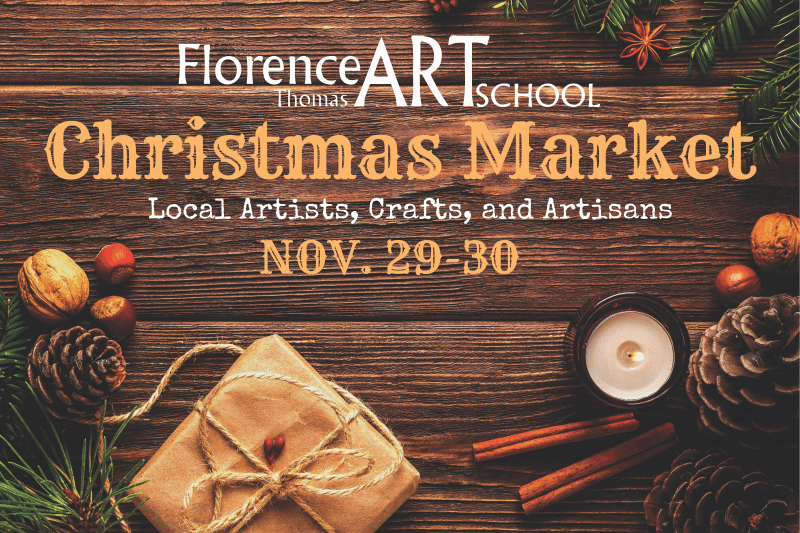 Inspired by the historic outdoor Christmas Markets, this market features local fine artists, artisans, and crafters. Join us for a cup of hot chocolate or mulled wine to get in the holiday spirit and find a unique gift!